Please type your desired tags, e.g. Chemistry, Political Science, Bioengineering, Systems Engineering, HiC, Technical Writing, Rhetoric, Editing, Consulting, renewable energy, water power, Business Communication, Clinical Nutrition, Homeless Children, Translation studies, and etc. 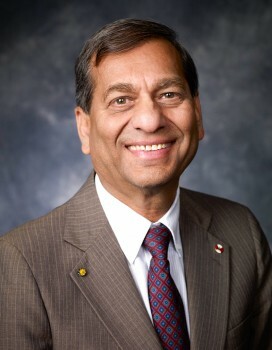 Suresh P. Sethi is Eugene McDermott Professor of Operations Management and Director of the Center for Intelligent Supply Networks at The University of Texas at Dallas. He has written 7 books and published nearly 400 research papers in the fields of manufacturing and operations management, finance and economics, marketing, and optimization theory. He teaches a course on optimal control theory/applications and organizes a seminar series on operations management topics. He initiated and developed the doctoral programs in operations management at both University of Texas at Dallas and University of Toronto. He serves on the editorial boards of several journals including Production and Operations Management and SIAM Journal on Control and Optimization. He was named a Fellow of The Royal Society of Canada in 1994. Two conferences were organized and two books edited in his honor in 2005-6. Other honors include: IEEE Fellow (2001), INFORMS Fellow (2003), AAAS Fellow (2003), POMS Fellow (2005), IITB Distinguished Alum (2008), SIAM Fellow (2009), POMS President (2012). International Conference on Management Sciences: Optimization Models and Applications in Honor of Professor Suresh Sethi, University of Texas at Dallas, Richardson, TX, May 20-22, 2006. Wickham-Skinner Best Paper Award at The 2nd World Conference on POM, 15th Annual Production and Operations Management Conference, Cancun, Mexico, April 30 - May 3, 2004. 2001 Nominated for the SIAM's Ralph E. Kleinman Prize. 1999 Nominated to be an MSOM Fellow. 1998 Nominated to be a Foreign Fellow in the Indian National Science Academy. Nominated to be a Foreign Member in the National Academy of Engineering (USA) . Nominated for the Sir John William Dawson Medal of the Royal Society of Canada (awarded for important and sustained contribution by one individual in at least two different domains in the general area of interest of the Royal Society of Canada or in a broad domain that transcends the usual disciplinary boundaries); decision pending. The 1994 Sethi-Zhang book nominated for the 1996 INFORMS Award for the Best Research Publication in Applied Probability. 1995 Nominated for a University Professorship at University of Toronto. School of Management Professor Suresh P. Sethi has been named to the inaugural class of fellows of the Society for Industrial and Applied Mathematics (SIAM). The honor salutes Dr. Sethi for his work in optimal control applied to the management sciences and economics. He joins 193 other honorees as a charter member in the SIAM Fellows Program, which recognizes contributions to the field of applied math and computational science. 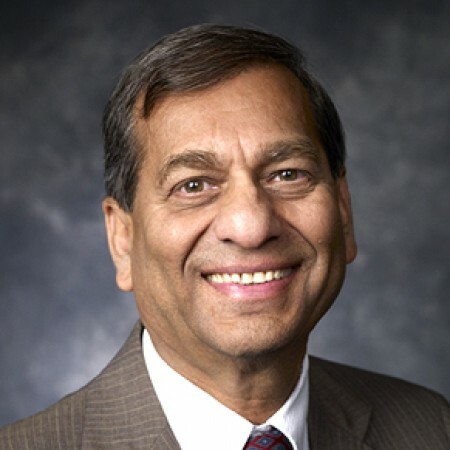 Dr. Sethi is the Charles and Nancy Davidson Distinguished Professor of Operations Management and director of The School of Management Center for Intelligent Supply Networks. He is internationally known for applying quantitative methods to manufacturing and operations management and has also made fundamental contributions to finance, economics and marketing. His current research interests include supply chain management, inventory control and mathematical finance. RICHARDSON, Texas (Feb. 25, 2004) — The American Association for the Advancement of Science (AAAS) has elected Professor Suresh Sethi of the School of Management at The University of Texas at Dallas to the ranks of AAAS Fellow. Dr. Sethi is one of only 348 AAAS members, from a total membership of 140,000, elected to the status of fellow by the organization's council in 2004. He accepted his award in ceremonies in Seattle earlier this month. AAAS Chief Executive Officer Alan I. Leshner said fellows are members of the organization who have made distinguished efforts on behalf of the advancement of science or it applications. The AAAS Fellowship was established in 1874. AAAS is recognizing Sethi specifically for his contributions to hierarchical decisions in manufacturing, investment/consumption problems with bankruptcy, forecast horizons in dynamic optimization and optimal control applications to management problems. 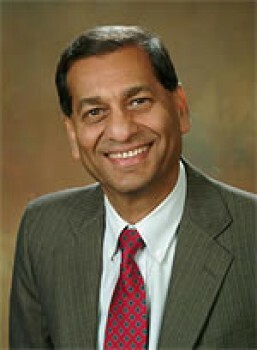 RICHARDSON, Texas (Feb. 15, 2005) – The Production and Operations Management Society (POMS) has elected Professor Suresh Sethi of the School of Management at The University of Texas at Dallas to the ranks of POMS Fellow. Dr. Sethi is one of only eight POMS members, from a total membership of more than 1,000, elected to the status of fellow by the organization in 2005. He will accept his award in ceremonies in Chicago in May.